Remember the Star Cross lovers from Thoughtless series? Kiera and Kellan, they have gone through a lot of suffering to take their relation to another level. Kiera cheated on Deny and started the relationship with Kellan, even though it was an attraction in the beginning it turned out to be real love. 3rd book starts with Kellan and Kiera secretly exchanging the ring and considering it as marriage. Now that Kiera is graduated and wants to write a book she accompanies Kellan in his tours. But Kellan is girl repellent, with his body and face everywhere girls are attracted to him. Even super celebrity wants to record a song with him, as this popular female celebrity gets near to him she tries to throw Kiera out of Kellen’s reach. Now Kellan is Celebrity too, with lots of money and fame. Will their love survive in this battle of fame? It’s an interesting read. I liked this Thoughtless series from the beginning. It has a dreamy feel to it with author’s addictive writing style. I liked all the characters in this book. My rating: 3 out of 5. I recommend this series to ”Romance” lovers. S.C Stephens is one of my favorite authors. 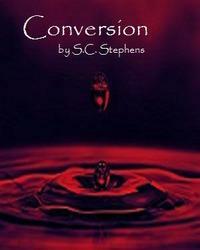 I love his writing style especially in Conversion series. I have read Thoughtless, Its all relative and Conversion series by this author. 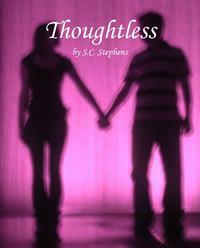 ”Effortless” is second book in the ”Thoughtless series”. If you liked thoughtless I am sure you will like this book. Who don’t like Rock star Kellan and his cute girl friend Kiera? I liked their little romance back in fist book. In this book you can find more of their romance and love. Now that kellan & Kiera are together life is good for them. But still past memories are following them like ghosts. Trust is important for a relationship, but when a relationship is started by cheating a third person it is always unsure. Kiera started her relationship with kellan by cheating on her boyfriend Denny. How can Kellan trust her now? Kellan slept with almost every girl in the town before he met Kiera, Kiera can not stand when every other girl knows how it feels to be touched and kissed by Kellan. Now that Kellan is famous and is on world tour will he be able to resist hot girls who can die to get near to him? Denny is back in town will Kiera fall for him again, when Kellan is out of town giving shows? It is a good college romance, worth reading once. I am sure you won’t be able to resist hot Kellan Kyle. My ratings are 3 out of 5. I am a big fan of S C Stephens writing. I have read Conversion series ( Conversion, Bloodlines and Till death) a wonderful series of vampire novels and Thoughtless a YA novel by this author. 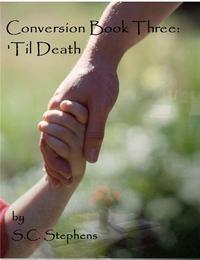 I fell in love with Conversion series, I read these books in Feedbooks for free, but now I think these books are not available for free, you can find only the sample. But fortunately ”It’s All Relative” is free. 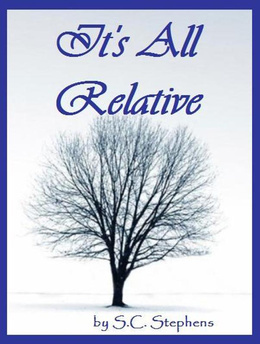 ”It’s all relative” is a simple story but with lot of complicated emotions. Jessie after being cheated by her boy friend wants to go to a bar and get drunk with her friends and for the first time in her life she wants to have a one night stand with a cute guy, Kai is a new comer to the city and he can’t take his eyes off from Jessie who is totally drunk. Jessie falls for his tropical blue-green eyes and completely gives herself to this handsome stranger but then they found out how complete they are together and how perfect they are together.This is simple isn’t it? It could have been simple if they didn’t find out that they are related! yes, they are cousins. How gross! but even though they try to keep their distance they fail and fall in love with each other. But sometimes fate can bring you together and miracles may happen. It is bit slow moving story but found it interesting and predictable too. A good time pass read. If you are in a mood to read some romance go for it. As it is available free on feedbooks here is the link to download it. I love all three books.I didn’t want it to end, but unfortunately this is the last part. Emma was so happy with her life. Two kids, a vampire husband and family, being a partial vampire she was taking medication to stop from dying and turning into a complete vampire. A content life with a desired job and happy family. Suddenly everything changes and she is forced to stop medication and something she really loved and wanted to be near is taken away. Will she be able to bare the death? What will happen to the one who is taken away from her? Will she get what she wanted back? An amazing story of love, power and desire for money. Excellent work by author. Another heart touching wonderful vampire novel. I just loved the way author described about Emma’s kids they are such sweet angels. The love between Emma and Teren is something beyond death. Even death can not separate them but helped to get them closer. Another novel by S.C Stephen, I honestly have to say its a good book 🙂 This is a love triangle, which will capture your heart. Kiera has a boy friend who is caring and loving. They head together to a new city to start a life together. Dream job for her boyfriend Deny and opportunity to study at the University she wanted, makes her life more perfect. Everything changes, suddenly she feels lonely once her boy friend goes away on work to an another place leaving her with his good friend who is a bad boy, rock star type. She falls for Kellen Kyle, the rock star. One night everything changes and slowly relationship will grow and she will feel out of control. Will she able to decide whom she want? What will happen to Denny? Is it right for her to cheat on her boy friend? A love triangle which will not allow you to put the book down. 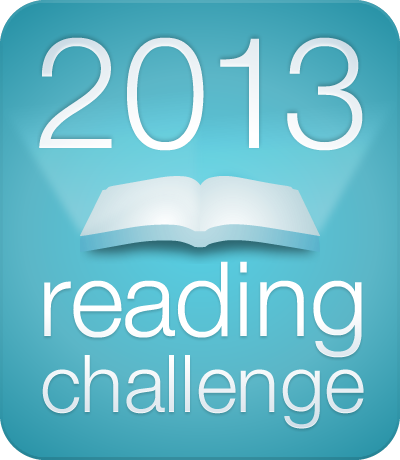 I read it last year after finishing ”Bloodlines”, a paranormal romantic novel by the same author. I found it when I was searching for more books by this author. The characters and plot are well developed and carefully crafted. Its a roller coaster of emotions. I would recommend this book because S.C. Stephens is so far one of my favorite authors and his writing will not disappoint. 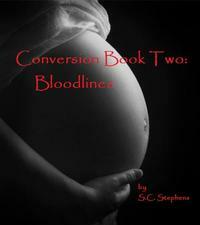 Sequel of Conversion, the vampire story is “Bloodlines”. Whoever read the first part I am sure will read this too. Another vampire story filled with Romance, love, pain and laugh. Its a roller coaster of emotions. Emma falls in love with a partial vampire whose heart beat is going to stop soon. Will she able to save him? Now she is pregnant, will she be able to keep her babies safe inside? What will they be like- Vampire or human? Enjoy reading i will let you know about the third book when I finish reading. I found this when I was searching for vampire stories. Already there are many vampire stories like Twilight series and Vampire Dairies. I thought this must be another vampire- human love story. But this book is unique, even though the concept is vampire- human story still there is something in this book which makes it different than other stories. I just love the concept of pure vampires and half blooded or mixed vampires. Its a story about a girl who falls for a man without knowing that he is vampire. Will she know the fact? If she does then what will be her reaction? What is this pure and mixed vampire concept? How they are different? for knowing answers for this you will have to read the book. I read it last year December:) its a amazing story.